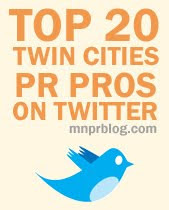 Minnesota PRSA Classics Awards Under Two-Weeks away! We hope you will be able to join in our biggest gathering of the year! The Classics committee has been working hard all year to put on this incredible event. To ensure your spot and meal choice for this fun evening, register online by 5 p.m. on Thursday, March 14. Online registration for the event will close on Wednesday, March 20.